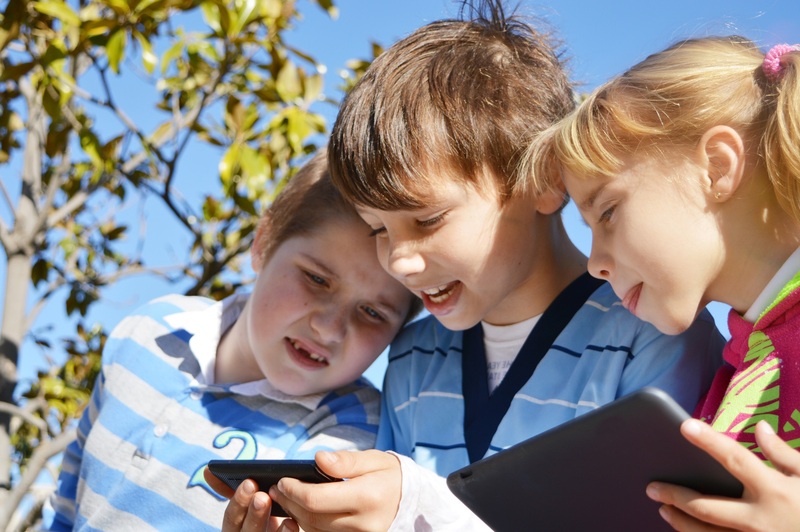 Screentime, it’s one of the most read topics on our blog! It’s the singular element of the digital world that affects both children and their parents, how to manage it and how to create a workable balance. The reality is that in this digital age screens are everywhere. Children could potentially be spending time looking at a screen from the time they wake up every morning! The increase in the use of iPads as a teaching tool in secondary schools also means that second level school students are also spending an increased amount of time engaged in ‘screentime’ during the school day. So, what is the best way to help your family to create a balance where screentime is concerned? Here are our tips to help make that happen! Start with small steps: At Zeeko we strongly believe that confiscation of digital devices, banning the use of screens or removing screens as a punishment is counterproductive. By ‘banning’ the use of screens it’s likely your child will develop a resentment of you and may take every opportunity to be on screens when you are not around. It is far more effective to sit down together and have an open conversation about the use of screens by everyone in the family. A good way to start to create a healthy balance regarding screens would be to decide that for one day every weekend you all do a family activity that does not involve a screen. This is a small first step towards creating a healthier balance and is manageable and won’t be too overwhelming. Encourage and promote no screens for at least an hour before bedtime: Screens omit a blue light which effects the melatonin levels in our brains, effectively meaning that screens stimulate our brains. Obviously, this is not a good idea in promoting a restful night’s sleep particularly for children, but adults too. Sleep is crucial to allow children to effectively concentrate, learn and grow. The American Academy of Paediatrics recommends that for at least an hour before bedtime there should be no screens. This can undoubtedly be a challenge but as sleep technologist Deirdre Mc Sweeny with the Mater Private Sleep Clinic says, ‘sleep pivots on two things, light and discipline.’ It can be difficult to prize devices from the hands of teenagers in particular; however it is really important that the bedroom is a place where at night, the only activity taking place there is sleep. Our bodies and minds become used to the routine around bedtime and screens should not be part of this, if we want our family to have a good night’s sleep. One strategy to help with a more restful sleep is to invest in a traditional alarm clock as opposed to using the clock on your phone as an alarm. Try leaving your phone downstairs and using the alarm clock instead for a few nights and see what difference it makes to the quality of your sleep! Make sure to include ‘non screen activities’ every day: This may sound obvious but with the busy lives that families have, particularly during the school year, it can be difficult to remember to include activities that don’t involve looking at a screen! After school activities such as sports, or for older children, meeting with their friends face to face rather than communicating online, is something that should be encouraged. One great way to start this would be to make sure that when you all sit down to have dinner that there are no screens or devices allowed for that period of time. Be a good role model: This can be a genuine challenge when it comes to the use of screens. Essentially if your child sees you constantly looking at a screen they are going to see this behaviour as normal and acceptable, even for them. Try where possible to have a balance in your own use of screens. Parents often find it helpful to put their phones on flight mode which can be less distracting. Also try to ensure that you spend quality screen free time with your child on a very regular basis. Screens are undoubtedly here to stay, encouraging your child to have a healthy perspective on screentime is essentially giving them a life skill that will stay with them always. The Digital Age of Consent: It’s All About Education!